The sizzling, mouth-watering asado, or barbecue, is one of Uruguay’s most popular and cherished dishes among locals as well as foreigners. To add a little extra flavor to the irresistible meat dish, the typical Uruguayan will reach across the table for some salt. But, they are not able to do that anymore—at least, not easily. Having the largest percentage of obese children in the region, with 30 percent of its people suffering from hypertension, or abnormally high blood pressure, Uruguay has taken active measures to combat its obesity problem by making salt less accessible in restaurants and schools. Cutting back salt consumption has been a priority in the eyes of Montevideo’s city government because the country’s national consumption of sodium is double what the World Health Organization recommends. Excess salt is not only a problem in restaurants and at home, but also in the ready-made meals and prepared foods such as bread, breakfast cereals, processed meats, and snack foods that are popular in many countries of the Americas. People are often unaware of where most of the salt they consume comes from and how severely damaging it can be to their health. Not only does high sodium intake have a strong connection with obesity and hypertension, but it also has a direct link to syndromes such as osteoporosis and left ventricular hypertrophy. It is also a strong risk factor for heart failure and other cardiovascular diseases. Given the serious health risks of consuming too much salt, it becomes clear why Uruguay’s government has stepped in, though not all Uruguayan citizens are satisfied with the government’s actions. Is the Policy Too Aggressive? The salt law stipulates that in addition to removing saltshakers from tables, restaurants must also provide warnings on the menu about salt consumption and must make low-sodium alternatives available for customers. Additionally, like Uruguay, Brazilian bakers have nationally agreed to lower the sodium content in their products by 10 percent since 2013. Typically people associate malnutrition with hunger and poverty. However, the other direction of malnutrition, that which is due to overeating of non-nutritious foods, continues to pose a huge threat to the health of inhabitants all throughout Latin America. According to a report by the Overseas Development Institute last year, more than 56 percent of Latin American adults are overweight or obese, compared to the global average of 34 percent. Experts attribute one of the biggest causes of obesity in Latin America to the power of multinational food and beverage firms, particularly those from the United States. With a lot of political influence and money for advertising, the food industry has shaped the general public’s ignorant and disinterested attitude towards sugar and salt moderation. Yet, this attitude is understandable when many children, for example, grow up immersed in a consumer culture that overpoweringly pushes unhealthy options to such a large extent. Juan Rivera of Mexico’s National Institute of Public Health admits that some mothers in Mexico, when weaning their babies, substitute milk for soda as early as three months. As a result, it is unsurprising that 7.1 million Latin American children under the age of 5 years old suffer from chronic malnutrition, while 3.8 million are considered overweight. Like Uruguay, several countries in the region have recently tried to address the health risks of consuming foods with high salt and sugar content. Mexico, for example, has imposed a tax on the sale of sugary drinks, while Chile requires food producers to place warning labels on foods high in sugar, salt, and calories. Yet these government policies have drawn a significant backlash from large food and drink companies. The United States’ efforts have also failed repeatedly, including the banning of super-sized soft drinks in New York and the required labeling of genetically modified foods. The food and restaurant industry feared economic hardship and also argued that the law would have encroached on individual freedoms to consume super-sized sodas and soft drinks. Comparatively, Uruguay’s government has generally been more persistent and successful in enforcing its policies. “I’ve worked in the restaurant business for 11 years and at the beginning it was only 20 percent of people who didn’t salt their food and now it’s about 20 percent who do,” said Liber Bisciottano, who works in an exclusive asado restaurant in Montevideo. 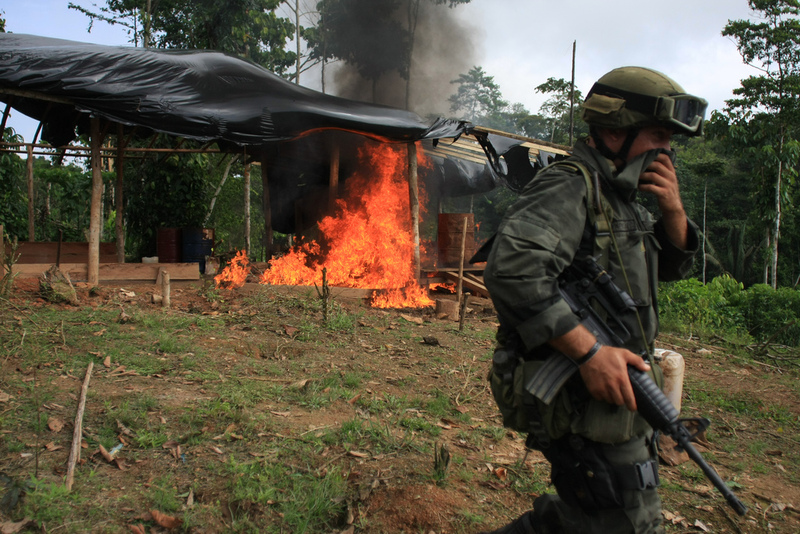 Some argue that Uruguay’s zero-tolerance approach is a reflection of the country’s social liberalism as it is one of Latin America’s most progressive countries. Although the struggle against salt consumption continues in many Latin American countries, places like Argentina—another country whose salt intake doubles the recommended amount—has reason to be hopeful in its efforts. Several months ago during World Salt Awareness Week, Fundación Favaloro, an Argentine scientific institution, launched a hashtag campaign called #LaSalQueSeVe (#TheSaltYouCanSee). Salt is difficult to quantify, which is why people intake much more than they are aware of. To solve this problem, Favaloro teamed up with Grey Advertising Argentina and distributed bottled colored salt, which received positive attention from several major salt companies in the area that wanted to purchase these items. The campaign even received support from the famous Argentine soccer player, Lionel Messi. Fortunately, Argentina is another country that has made clever efforts to encourage people to use the commodity in moderation. Until recently, dietary salt has been largely overlooked as a mechanism to improve health despite copious amounts of evidence linking high sodium intake with hypertension. It is especially important that the salt intake of younger populations be controlled in order to prevent obesity and cardiovascular diseases that may occur in later stages of their lives. The recent ban on salt and proactive food policies in Uruguay serve as experiments for the rest of Latin America and the world to examine and possibly steer consumers away from local restaurants and processed foods that contain high quantities of sodium. As people are easily swayed by advertising and conditioning, businesses must continue to portray healthier food alternatives in an appealing and accessible way. This also means that food labeling should be accurate and people must be more cognizant of how much salt they are consuming in their diet. Uruguay’s approach to combating obesity and heart-related problems may be strict, but at least the country is making a much-needed effort to warn its citizens about the dangers of salt overconsumption. When people, not just children, have been accustomed to high salt consumption for a long period of time, they may not easily notice the high salt levels in their food. However, if they do not make the necessary changes to their diet, they will have to confront the awaiting health consequences. 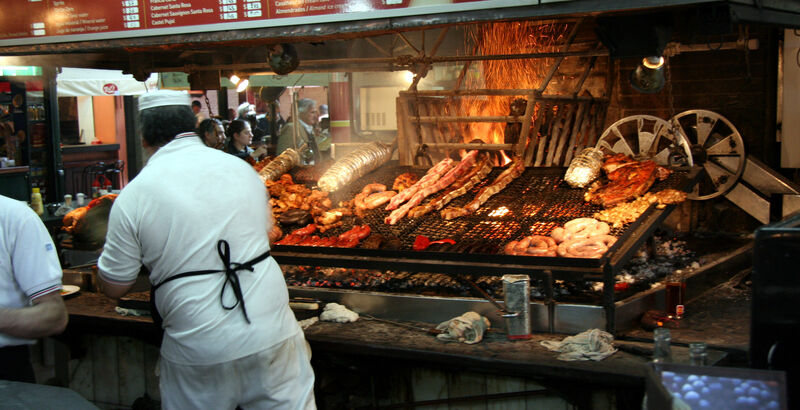 Featured Photo: Steaks being barbecued at the Mercado del Puerto in Montevideo. From: Travel Aficionado.